All Reno homes currently listed for sale in Reno as of 04/24/2019 are shown below. You can change the search criteria at any time by pressing the 'Change Search' button below. If you have any questions or you would like more information about any Reno homes for sale or other Reno real estate, please contact us and one of our knowledgeable Reno REALTORS® would be pleased to assist you. "NO RESTRICTIONS except EPA.ENTIRE 17 more or less acs CAN BE COMMERCIAL. 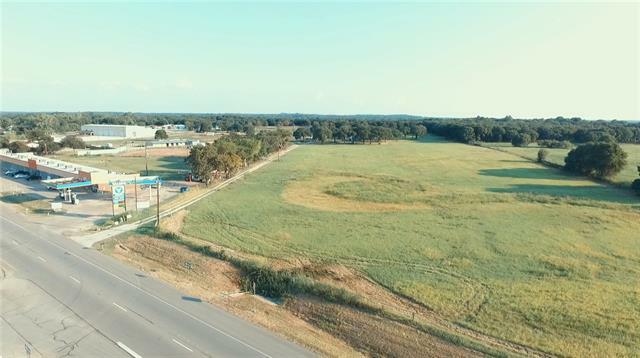 AG EXEMPT Appx 538 ft HWY FRONTAGE.Level stable all useable,pick any spot to build residential or commercial.40 X 70 insulated METAL BARN WITH 1 bedroom living quarters and 4 horse stalls and closet,concrete floors,2, 14 by 10 roll up doors,storage loft. 1 bedrm home fenced Walnut creek special utl dist,ALSO A private well,fenced,RV parking with dump station and electric meter,covered parking,corral, Unincorporated area of "
"This 4 bedroom, 4 bath ranch style home with 2 living areas, bonus room and gourmet kitchen with private gated entry and concrete circular drive is minutes from major highways. Also there is an attached one bedroom self sufficient guest house with outdoor kitchen. 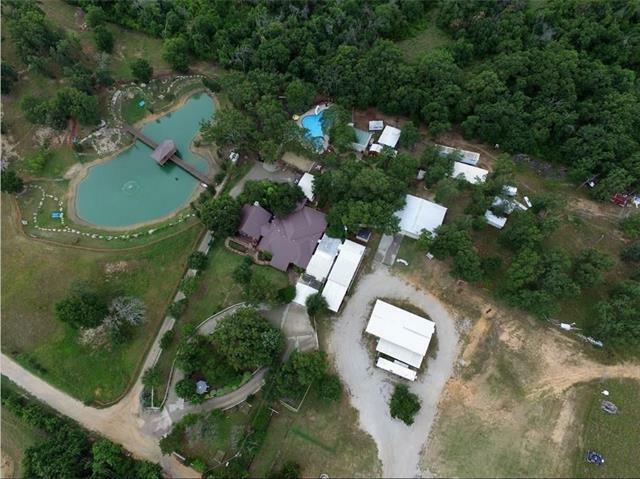 Property includes a large pool with cabana and outdoor kitchens, 2 shops, 3 bay storage building, green house, tree house, pond with small dock for a boat on 23 ACRES. Secluded, private and a home for entertaining year around. 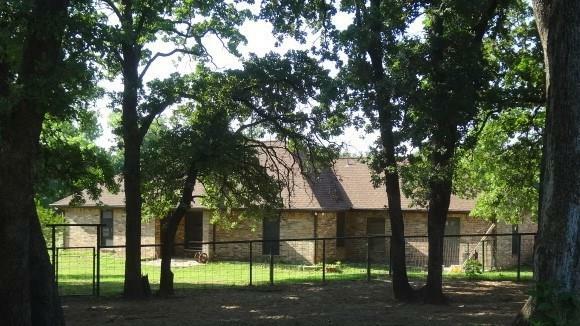 Perfe"
"Amazing 12.9 acre equestrian facility in North Parker County! 100x200 arena with 100x100 covered. Perfect for most any equine discipline. 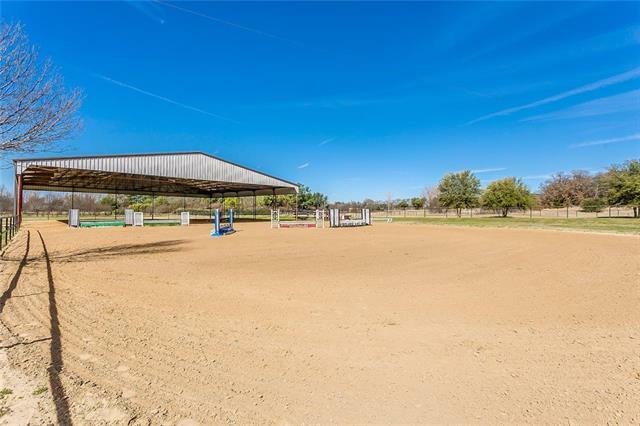 Fantastic 17 stall show barn with tack room, wash rack, and feed room. Meticulous 3 bed 2 bath home with split bedrooms. Open kitchen and living area. Formal dining room. Large master suite with enormous bath and closet complete with a built in office. Fenced and cross fenced with many paddocks and pastures. Efficiency apartment. Gated entrance. Minutes to FM "
"COME TAKE A LOOK AT THIS WONDERFUL FARM AND RANCH! 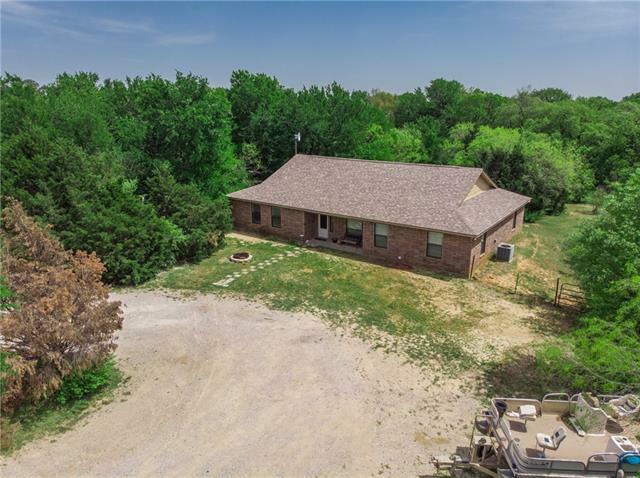 Location and acreage! 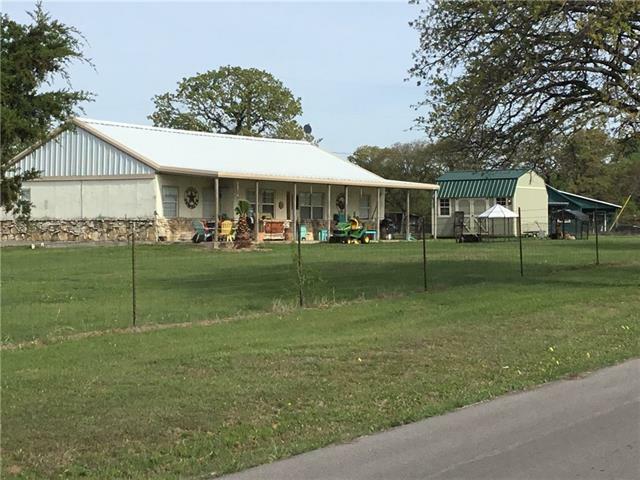 Beautiful country home with Mother In Law apartment.Boasts of tile floors throughout, sun room to sit and watch your livestock or the wildlife. 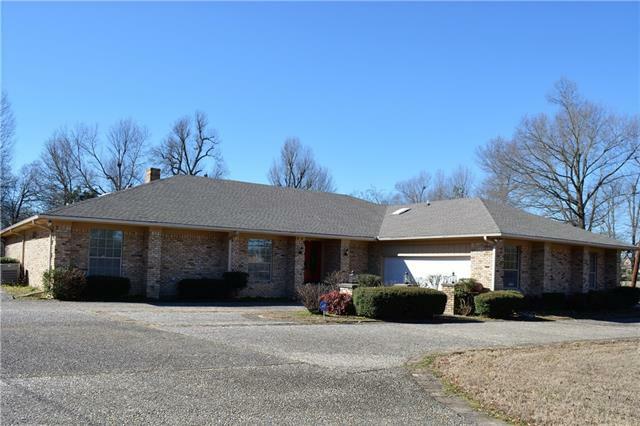 Home is open concept, fresh paint, spacious rooms, solar screens, deck, brick grill, well maintained home, beautifully landscaped, lots of trees and open pasture. Fenced and cross fenced with loading or squeeze chute. 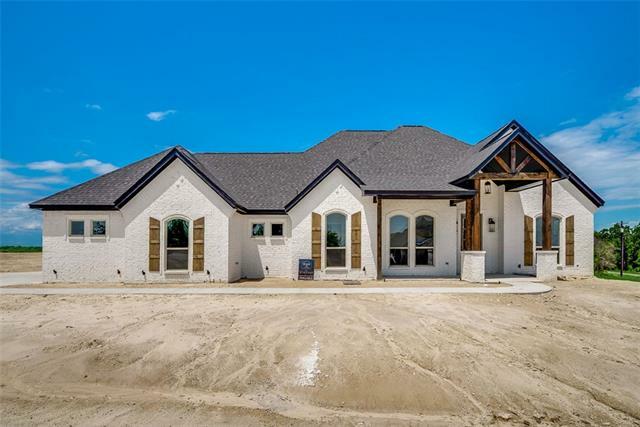 29x36 4 stall barn, 34x36 workshop with concrete floors, wired 22"
"Sorrells Custom Homes Model under construction in beautiful new subdivision, Scenic Wood Estates. 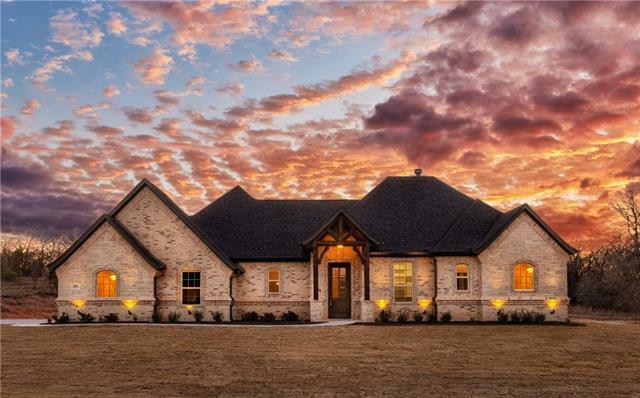 This home is being build on a premium corner lot with all the features that you will be looking for in a custom home. Granite in kitchen and baths, wood flooring in the living area, open concept are just a few of the features. Builder also has several other lots and floor plans available for building your dream home. Lots are one acre wooded with city water, Located off of 730N between Hwy 199"
"MLS# 14046287 - Built by Brookson Builders - May completion!! ~ Fall in love with this cozy floor plan. Located on a 1 acre property on Reno, TX this home features a farmhouse exterior, outdoor fireplace, durable wood look tile in the entry, gallery, formal dining room, family room, kitchen, nook and utility room, painted brick fireplace, granite countertops in the kitchen and master bathroom, painted kitchen cabinets, stainless steel appliances, barn door at master bath with full length mirror "
"Byron G. Custom Homes building in Scenic Wood Estates. 3 bedroom, 3 bath, 3 car garage with a study or office built on a hilltop lot with views. 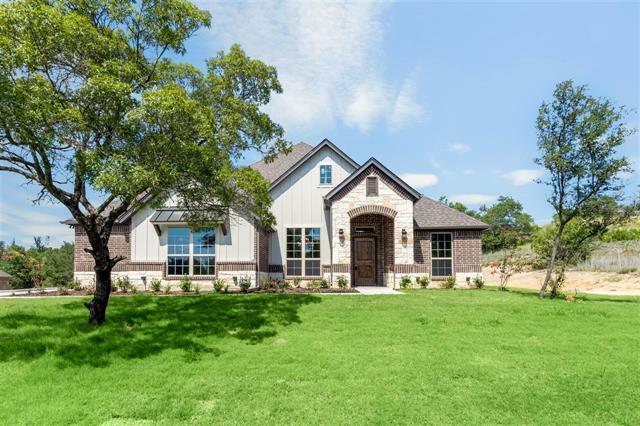 Home will feature a Transitional Farmhouse elevation with painted brick and cedar trim, open concept living, kitchen and dining area. Large undercover patio perfect for enjoying sunset evenings. Cathedral beamed ceiling, decorative lighting, shaker style stained cabinets, tasteful granite and tile choices in kitchen and all baths. Mud room area. S"
"New Construction!! 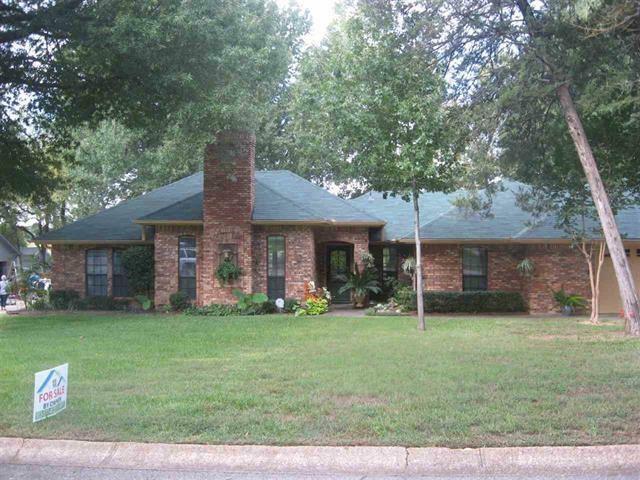 4 Bedroom, 2 Bath home, with formal dining or study. Custom built knotty alder cabinets with granite counter tops and ceramic tile in kitchen and baths. Kitchen: stainless steel Whirlpool appliances, and walk-in pantry in kitchen Engineered hand scraped wood floor in living room and ceramic tile in foyer. Double sinks, separate shower and tub in master bath. Master closet has direct access to laundry room. Oil rubbed bronze ceiling fans, light, and plumbing fixtures. Pati"
"LBK HOMES THE RIGHT HOME FOR THE RIGHT PRICE! 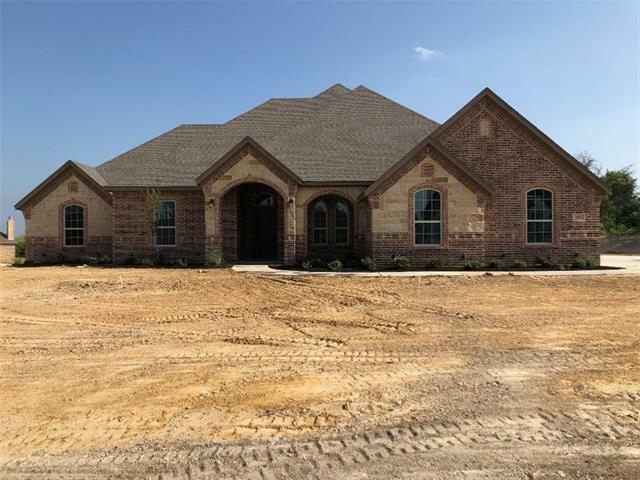 COME OUT TO RENO JUST OUTSIDE OF AZLE AND SEE WHAT LBK HAS TO OFFER AT THIS BRAND NEW SUB-DIVISION ON THIS WOODED 1 ACREW LOT! FIND PEACE AND QUITE OUTSIDE THE CITY LIMITS! This home comes with a 4 bedrooms, 2 Car garage and 1 fireplace. The kitchen is designed with and open concept to bring the family and friends together. Included is an elegant breakfast bar accompanied by charming stainless steel appliances. MBR bath is luxurious with the separa"
"Gorgeousl 2 story home with the master bedroom downstairs Hardwood floors in living room and Master. Rock fireplace ceramic tile in the kitchen and formal dining and breakfast area. Master has a jetted garden tub large walk in shower walk in closet. Custom cabinets throughout the home. Plenty room for a barn or workshop. Bring your livestock! Very Motivated seller make offer." "New Construction! 3 Bedroom, 2 bath home with study. Custom built knotty alder cabinets with granite countertops and ceramic tile in kitchen and baths. Kitchen: stainless steel Whirlpool appliances, walk-in pantry, and island. Engineered hand-scraped wood floor in living room and ceramic tile in foyer. Master bath: double sink, separate shower, and tub, and walk-in closet. Oil rubbed bronze ceiling fans, light, and plumbing fixtures. Patio with fireplace! Buyer and Buyers Agent to verify s"
"82East, north on mansfield, east on Pine Mill Rd., south on Brookes way, west on Brianna to Ashton"
"Wonderfully maintained residence sitting on over 2 acres in quiet neighborhood, close to schools and shopping. You'll love coming home to the serenity this property provides tucked in the trees and abundant wildlife. Open floor plan with main living area adjacent to breakfast room for casual dining. Beautiful wall of windows across the back provides natural light. Spacious kitchen with loads of counter space and breakfast bar. Study could be used as 4th bedroom. Detached oversized carport for R"
"New subdivision in Reno with wooded lots and beautiful views. Under construction by Sorrells Custom Homes. One acre wooded lot. 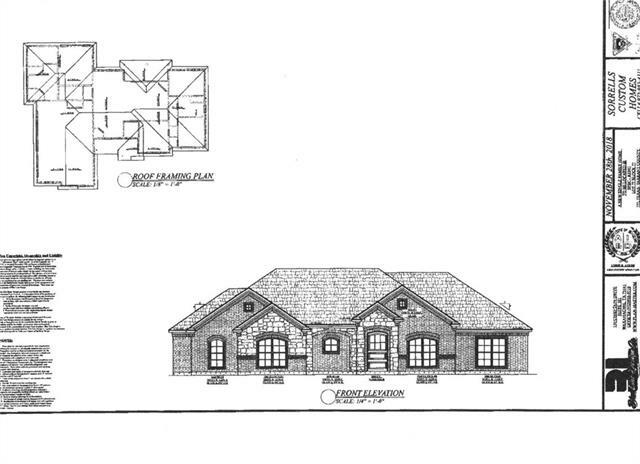 Home will feature granite counter tops, crown molding , carpet, tile and built in stainless appliances. Subdivision will have city park. 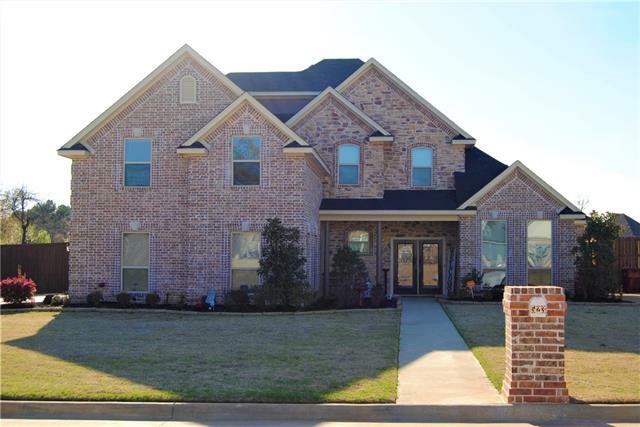 Located between Hwy 199 and Hwy 114 for an easy commute to Metroplex. Completion of home September. Must see this subdivision to appreciate the true beauty. Builder has other lots available." "Very well maintained Executive home in wellington Point This one is move in ready . Open living area with tall ceilings . Crown molding with gas log fireplace. 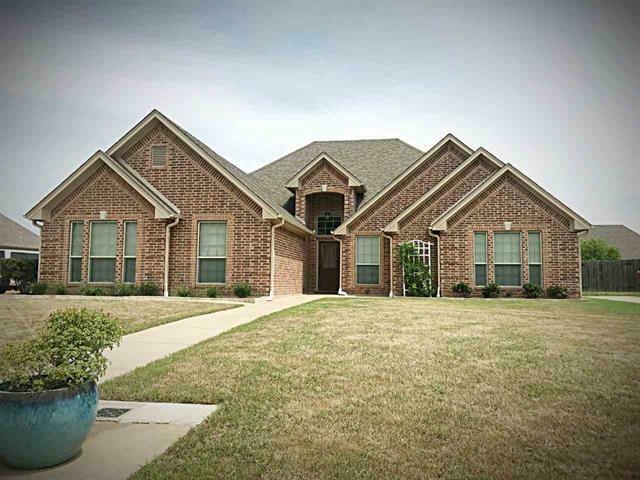 Spacious Master suite with Great master bath Jutted tub and separate shower. Custom kitchen with formal dining and breakfast area. upstairs bonus room with unlimited possibilities Privacy fenced yard with in ground swimming pool New Roof in 2018, New pool filter in 2018, Storage shed installed on concrete pads." 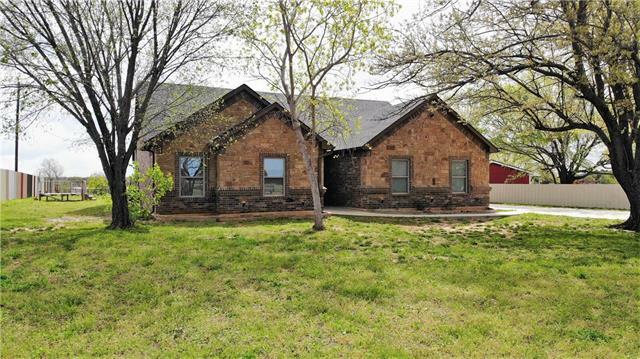 "CHARMING 4 Bed - 2 Bath - 2 Car Garage sitting on One Acre of Land! 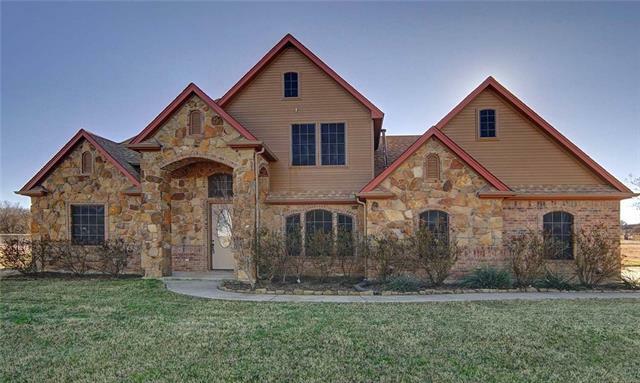 Situated just minutes from Azle, Texas but tucked away down a quite road. 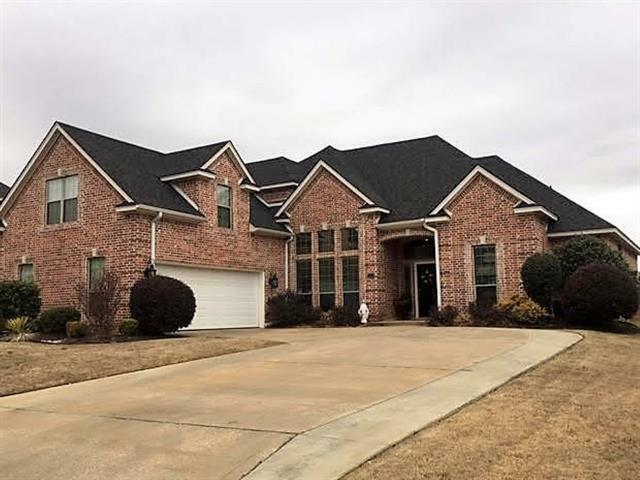 Being a very clean, one owner home built in 2015 with granite counters and ceramic tile throughout, wood trim, crown moldings and ceramic tile. 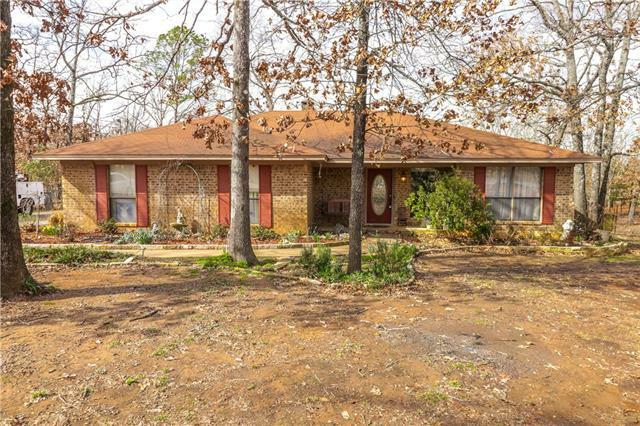 Spread out or entertain on this big lot with a nice size back porch and several mature trees. Or you can add on with plenty of storage for your tools in the insulated 24 x 20 metal building with a 24 x 20 carport a"
"This one is a must See. very large 4 bedroom 3 bath with unlimited options . room to spread out and enjoy lots of entertaining . large bedrooms and numerous walk in closets . custom built ins in several rooms . large open living room lined with windows to a lovely backyard view. covered back porch 2 car garage and nice circle drive with RV parking on the side"
"Looking for a serene, rural neighborhood with acreage? This is it! 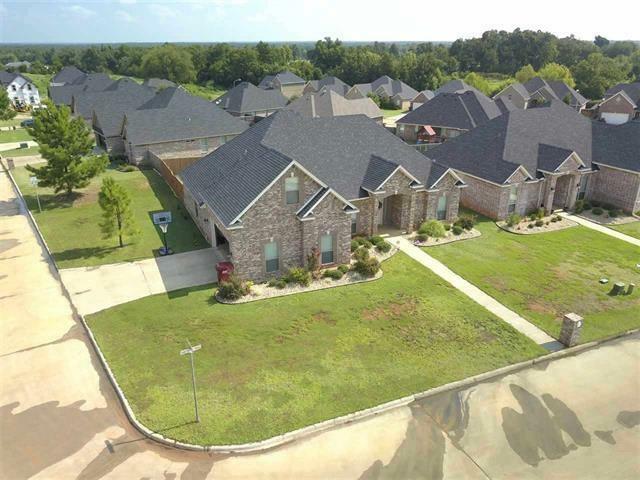 With 2200sqft this home has plenty of space and potential for you to turn into your dream home. Large bedrooms, formal dining, large kitchen with breakfast nook overlooking the patio and a living room with vaulted ceilings as well as a sunroom that fills with natural light. The living room also features a huge wood fireplace with vents that heats the entire home, you will hardly have to use the HVAC system during winter. With a h"
"Nice home on a corner lot! Open concept. Kitchen has Granite tops, custom cabinetry, and stainless appliances. Separate dining and breakfast rooms. Split master arrangement, large master bath with dual vanities and large walk in closet. 4th BR could be bonus or playroom etc. Fenced Yard." 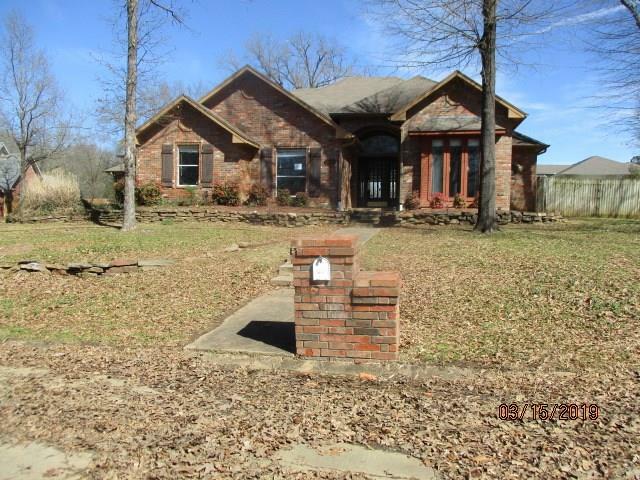 "Country Home on 1 Acre , Open Floor plan to enjoy the family and gatherings . Tile floor and gas fireplace for easy maitinance. Large master bedroom with on suite 2 additional bedrooms with split floor plan and a half bath across from the large spacious laundry utility room.. 2 horse barn with separate tack and feed room . Quiet neighborhood and country living. Property is being painted and spruced up for your buyers." "Cash or Hard Money only! Cozy 3.48 Acre property with lots of possibilities. House is 4 Bedroom 3 Bath with 2 Living areas. Also in the house is a Studio Apartment with full kitchen and full bath of its own. 3 Separate Porches and a Craft or Storage room in the back. Outside of the house are 4 Separate Buildings that were planned as Living Spaces and 2 of them with water and plumbing but all with Electricity. Workshop-garage with two roll up doors and 220v electric. Also a separate fenced area"
"This lovely, well kept 3 bedroom 2 bath 2 car garage home has stainless steel appliances, crown molding, fenced yard and just minutes from town in NLISD." "Great location in Twin Lakes Addition only minutes from the loop. 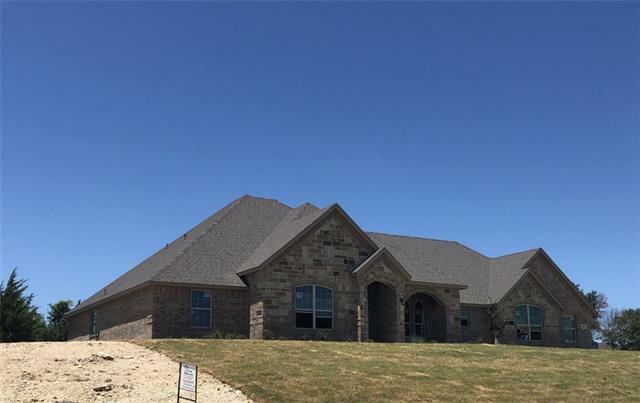 4 bedroom 2 bath custom home with many upgrades including granite counter tops, 2 gas log fireplaces, split bedroom floorplan, walk in closets, jetted tub in master and much more! The exterior offers a nice landscaped yard with concrete driveway, 16x20 workshop with loft, covered patio, 2 car attached garage and great neighborhood. This one will not last long! Let's look." "Remarkable home in the Pine Valley area. Beautiful front and back landscaping including quaint waterfall on front porch. Split Master with open floor plan and a 2nd living area. Custom cabinets, doors and high ceiling beams."